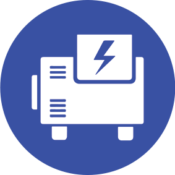 H&D Electrical is trusted with the maintenance of over 30 Generators across the Brisbane CBD market, within many A Grade and 6 star NABERS commercial buildings. We have been involved in the power generation industry for more than 30 years, and have extensive experience in the maintenance of diesel and gas generators. Our qualified technicians are fully trained and capable across a wide range of generator models. Their skills range from expertise with diesel and gas engines through to co/tri-generation systems, generator control systems, switchboards, automatic transfer systems, fuel storage and exhaust systems. Our service division operates 24 hours a day, 7 days a week across Brisbane to ensure your generator operates when required.